A man, who just got dumped, falls in love with another girl who he bullied in his childhood. The movie is based on the acclaimed novel K T N Kottur Ezhuthum Jeevithavum by T. P. Rajeevan, which is set in the backdrop of India's freedom struggle and depicts a magical history of a Kerala village. 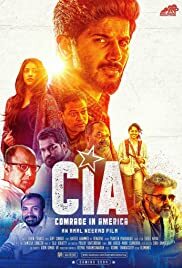 "An average movie with a good and unique plot but was not directed properly"
This movie is about Aji Mathew who is an adorable, fearless and humble youngster, who lives in a place in Kerala called Pala. He meets an NRI girl Sara in collage; they fall in love despite of their background. Their moments of love did not last long so do his happiness. This movie has a really good and unique plot I have not seen this concept in any other movie. It was filled with a somewhat action, a little adventure but not much thriller. Dulquer did his part well he can't be blamed for the way this movie was directed. Karthika has a lot to do to improve her acting skills, Chandini on the other hand got very less time span in this movie but her acting was noticed among the others. The other notable acting would be Siddique, Dileesh, Soubin and Maniyanpilla Raju. This movie had some really good standout songs. Amal Neerad as a director could have done a better job. The ending of this movie was unpredictable and good. No I would not recommend people to watch this movie.